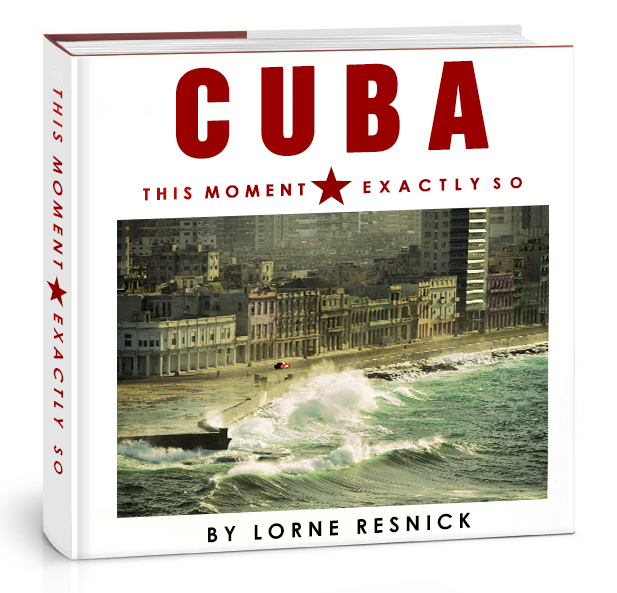 CUBA – This Moment, Exactly So is a one-of-a-kind Fine Art coffee table photography book, created from 20 years of shooting in Cuba by award-winning photographer Lorne Resnick. Featuring over 250 extraordinary color and black-and-white photos, Cuba: This Moment, Exactly So provides a stunning portrait of the vitality of Cuban culture, the beauty of the island, and the enduring spirit of the Cuban people. Uniquely organized around 32 micro-stories by two-time Pulitzer Prize–nominated author Brian Andreas (printed on translucent vellum) and featuring a foreword by celebrated author Pico Iyer, this deluxe coffee table book provides an immersive experience that combines gorgeous visuals, poignant stories, and lavish production values. There are three versions of the book: All three versions feature 336 pages with 250 color and B&W photos. The books measure 12x12x1.5 inches. The two deluxe editions each come with a 60-song Cuban music compilation and eBook. Now available only on Amazon.com, other online booksellers and bookstores worldwide. **New 2nd edition of the book - including 16 new images (no stories in this edition and the book is slightly smaller in length & Width). Available on Amazon here. This book will be signed, numbered, and limited in edition to a total of 100 copies. The book itself will be covered in leather, and the clamshell will be covered in silk. Additionally, there will be a signed, limited-edition 14x14-inch print, matted and ready to frame (retail price: $495) inside the clamshell. You can select from one of 40 images for the print from the images here.